We’re raising money for Jack Silbert and his family while he is in the hospital battling a serious illness. 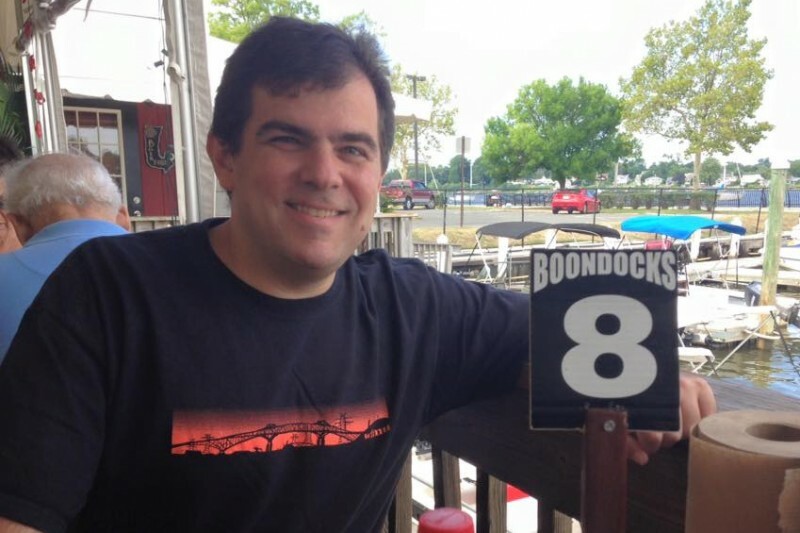 Please contribute whatever you can to help our favorite writer, editor, and bon vivant get through a difficult time. Share this page with everyone who knows and loves Jack. Whatever support you can provide, financial and otherwise, is much appreciated. The funds will be used to cover medical costs not covered by insurance, to help get Jack's parents set up with a temporary living situation while they help him heal and to help cover any day to day bills Jack may have while recovering. For those of you who don't know me, I am old friend of Jacks from back in the Scholastic days and I currently live in the Boston area. The idea for this fund came from the Scholastic team past and present who love Jack . I volunteered to manage it as I am not in the NJ area and able to offer hands on help. Update to our camapaign description. The funds will be withdrawn by Jack's father, Alan Silbert, in care of Jack. Thank you so much Marilyn (Jack's sister) for putting this into motion. Here’s your chance to live out the dream of singing on stage with the band. The Joe Hurley’s All-Star Irish Rock Review has set up SING AN IRISH CLASSIC FOR JACK contest. With just a 10$ donation to Jack’s Fund your name will be entered and you’ll have a chance to win and sing this Saturday at the show. Rumor has it that both Jack and Jim McMahon (aka: Mapman) will be in attendance. They haven’t missed this show in 19 years so why stop now? Can’t make the show? Donate anyway and help Jack in his recovery and rehabilitation. Find all the details below in a message from Joe Hurley. “Fancy singing onstage at The Irish Rock Revue while backed up by the incredible All-Star Irish Rock Review Band? Enter SING AN IRISH CLASSIC FOR JACK and you could find yourself doing just that, on Saturday, March 11th at NYC’s Highline Ballroom. 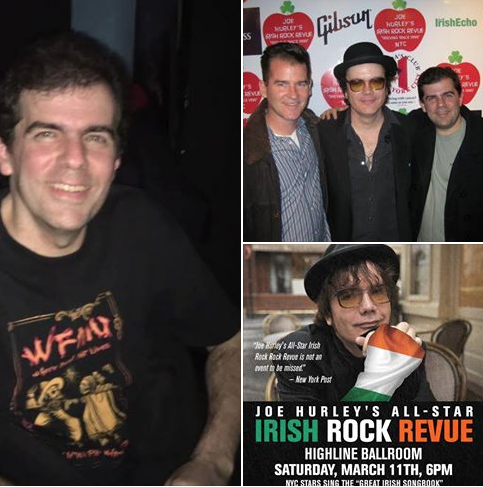 The 19th Annual All Star Irish Rock Review is fundraising for our great pal Jack Silbert. Each $10 Donation to Jack’s Fund on gofundme gets your name in the hat. The winner will be pulled next Saturday night and led onto the stage. The song will be a surprise, but you'll know it! (lyric sheet provided). To enter your donation message on Jack’s Fund write ”Star of The IRR''. Donate as many $10 donations as you like—increase your chance of winning! One hundred percent of all proceeds will go directly to Jack to aid him in his recovery & rehabilitation. " If you want your name in the hat for Saturday please add ”Star of The IRR'' to your donation message so Joe will know which names add. We're raising the bar and setting the goal at 75k! I know we can do this! Jack is recovering well but there is a long road of rehab ahead and the medical expenses that come along with that. Last weekend the music community held a fundraiser at WFMu's Monty Hall. Wildly successful, sold out, and reviewed by Jack himself: "In 1970, the band Insect Trust put out an album entitled Hoboken Saturday Night. Well, this past Saturday night, Hoboken came through for me in a big way. Some background info: Complications from abdominal surgery at summer’s end left me a double “below the knee” amputee. (Just in case you were wondering why I didn’t run in the Hoboken 5K this past fall.) After three and a half months of hospitalization and rehab, I returned to my Hoboken apartment in mid-December. Musician friends planned a benefit concert to help with my ever-growing medical expenses (Please please please don’t repeal the ACA.). The event was to be held at WFMU’s Monty Hall in Jersey City. “I’d really like to attend that event,” I thought to myself, “but… how?” Living in a 4th floor walk-up, I’ve basically been stuck up here like Rapunzel, with worse hair. To my rescue came the wonderful people of the Hoboken Volunteer Ambulance Corps. A friendly crew safely and professionally carried me, and my wheelchair, down the stairs — including the tricky curved one at the bottom. Later, an equally great overnight crew picked me up at the venue and swiftly delivered me back to my apartment." I'm continually amazed by Jacks courage and perseverance and not at all surprised by the incredible outpouring of love and support. Let's make this new goal happen! Doreen and the Scholastic crew. I can almost hear Jack's chuckle at the fact that he is "trending." And Jack, the Math Magazine editor, appreciates that if you round up, we are halfway to the goal after five hours. Sending love, light and healing thoughts Jack. Jack, so glad to hear that you are getting better. You are the the true MC and talk show host of classroom mags. We eagerly await your arch commentary! Love and hugs to one of my (and so many others') favorite people on the planet! Can't wait to celebrate your complete recovery! AIDS Walk, Friends of the Hoboken Public Library, New York Cares School Day, CERT, these events that Jack has always been a mighty part of and the photos his dear friends are sharing. Of course the man who gives so much has so many friends who have already contributed to his medical fund in just two hours. Way to go Jack's People. No matter what I write, it could never begin to tell you how hard the boys and I are pulling for you. We love you Jack, keep fighting, you got this!!!!! If you'd like to stay posted: add your contact info here: http://bit.ly/JackS_Updates I'm not sure when we'll get an update out, but we'll collect your info now! Great news! Very fitting, it being the Yom Kippur and all...a new year, a new place to get better. Thanks for sharing! I wish we could raise a googol dollars for this man. Make that a googolplex. (For the math folks out there.) Jack, you deserve it, and so much more. I'm really thinking of you and that smile and laugh of yours, and sending you big hugs. A little to soon for me to be heading back to NJ, Jack. Hope this helps.